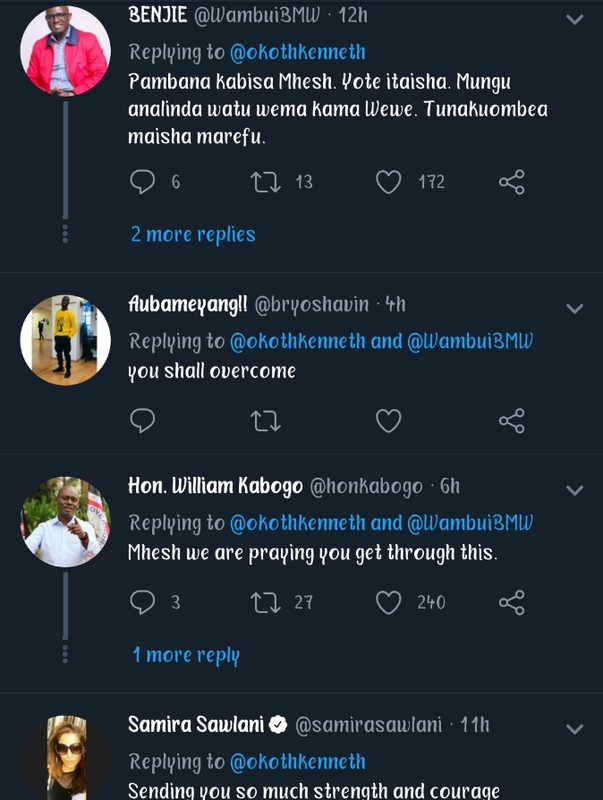 Cancer can be a very devastating illness to go through in life and it has become first killing ailment in Kenya today. Kibra Mp Ken Okoth has been fighting this ailment for some time now and took to Twitter to share a picture of how the treatment is taking him after a loyal fan asked how he is doing. 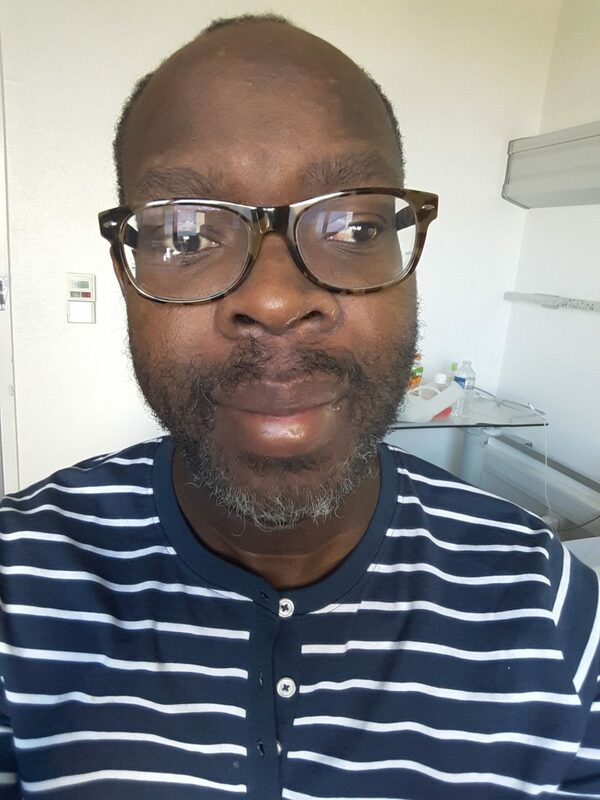 Kibra MP Ken Okoth has shared a photo of himself showing the ugly side of cancer. 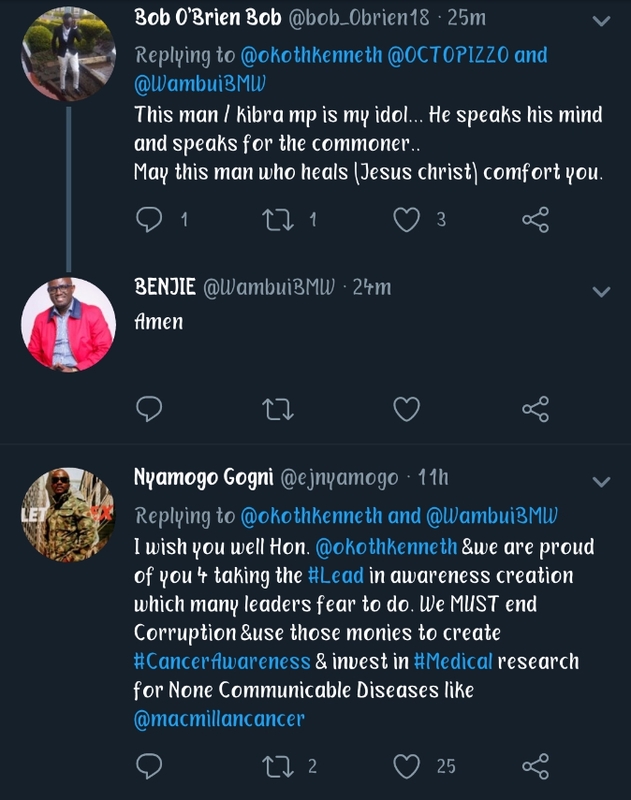 The youthful MP is undergoing treatment for stage four Colorectal cancer (colon cancer). 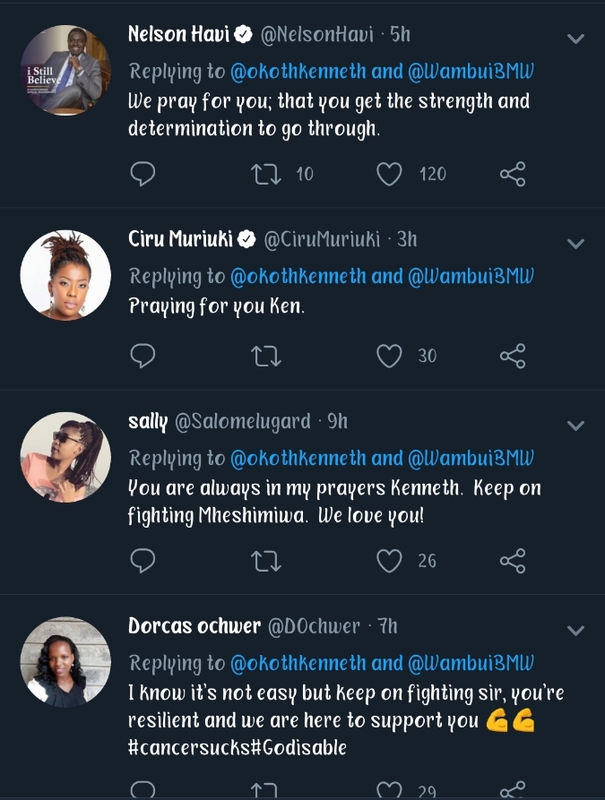 He posted the picture on social media while responding to a concerned Kenyan who had asked for an update on the treatment. 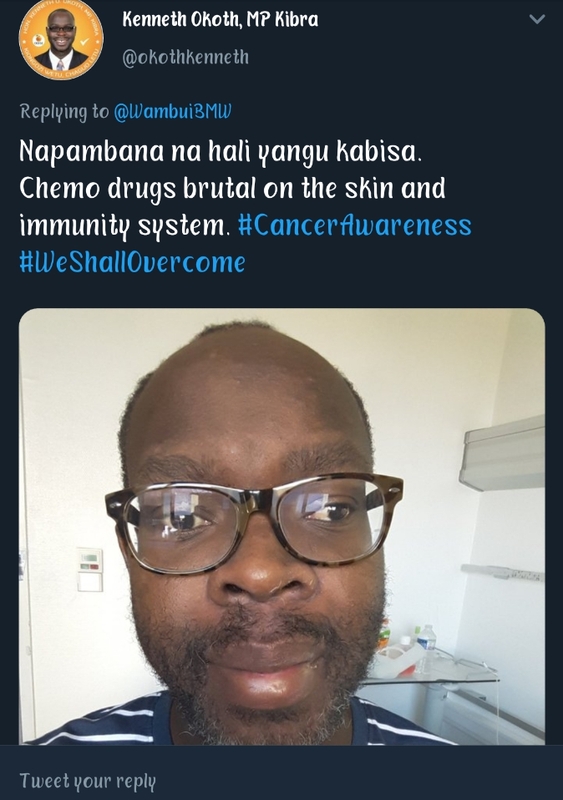 After sharing the picture, Kenyans were quick to wish him messages of hope and encouragement as he undergoes Cancer treatment.